Most Canadian snowbirds need to take a supply of prescription medication with them when travelling to their winter home. If you fall into this category, it is imperative that you know the rules or risk having your medication confiscated at the border. While this guide focuses on travel to the U.S., the same principle applies if you plan on visiting other counties as well, so no matter where you’re travelling, it’s critical that you check the rules and regulations in advance surrounding which drugs and medication you can – and more importantly cannot-- bring with you. It’s equally important to understand your options for having medications couriered or mailed to you while you’re away, as well as travelling with medical equipment, batteries and medical devices. The Government of Canada website also has some helpful tips for Canadians travelling with medication. How much prescription medication can I bring to the U.S.? This is a difficult question to answer. Strictly speaking, the U.S. Customs and Border Protection Agency (CBP) can enforce a three month limit for prescription medication when you enter the United States. However, they are sometimes more lenient if you have a letter from your doctor and explain that you need to have the additional supply -- but you cannot rely on this absolutely. Check the CBP’s website for more information about travelling to the U.S. with medication. All medication you take with you must be in its original containers issued by your pharmacy with your name, your doctor’s name, dosage instructions and all other labels left intact. Do not merge any pills into different containers to save room. It is a good idea to have a doctor’s letter with you attesting to your medical condition(s) and the need for the medication(s) and /or a copy of the original prescriptions. If any of your medications contain narcotics or controlled substances, you may be subject to a maximum 30 day supply. Some medications are legal in Canada but not in the U.S. such as those containing codeine. Be sure to check with the CBP and the FDA that you can bring the medication with you. You must declare these medications at customs. The U.S. Food & Drug Administration (FDA) regulates all prescription drugs in the U.S. so it is important to check the FDA’s website for information on the importation of drugs or call them to ensure that you are only bringing approved drugs (and dosages) into the U.S. When flying, always pack all of your medications in your carry-on luggage, never in your checked baggage. They need to be accessible for customs and security screening. Liquid medications are exempt from regular liquid restrictions on aircraft, but you must show them to the security officer and they must be in their original labelled containers. Check with your airline about the number of syringes you are allowed to carry on board, as there may be restrictions. It is recommended to use the Family/Special Needs security line as those officers are trained to offer additional assistance and are knowledgeable about medications. Can I have my prescription medications shipped to the U.S.? This leaves the question of what to do if you are staying for longer than three months. It is possible to have prescription medications shipped or couriered to you but they may be opened and examined at the border and could be seized if they do not have the correct paperwork – or if they contain substances banned in the U.S. or are readily available in the U.S. In most cases, it is illegal to import drugs into the United States for personal use. That’s largely because drugs available in Canada haven’t been evaluated or approved by FDA for use or sale in the U.S. The drug is for a serious condition for which there is no effective treatment available in the U.S. There is no marketing or promotion of the drug to U.S. residents. The drug doesn’t represent an unreasonable health risk. You verify in writing that you’re importing the drug for your own personal use. You have a letter, written in English, from your doctor saying the drug is a continuation of treatment that began outside the United States or you provide the name and address of a U.S. licensed physician who will supervise your use of the foreign drug. The letter should accompany the package and be addressed to a Customs and Border Protection officer or broker. You’re not importing more than a three-month supply of the drug. The best option is to send the package by a courier and clearly label it so the U.S. Customs broker will alert FDA inspectors about the special circumstances for sending the package. Check here for the top 5 FDA tips for travelling with medication. 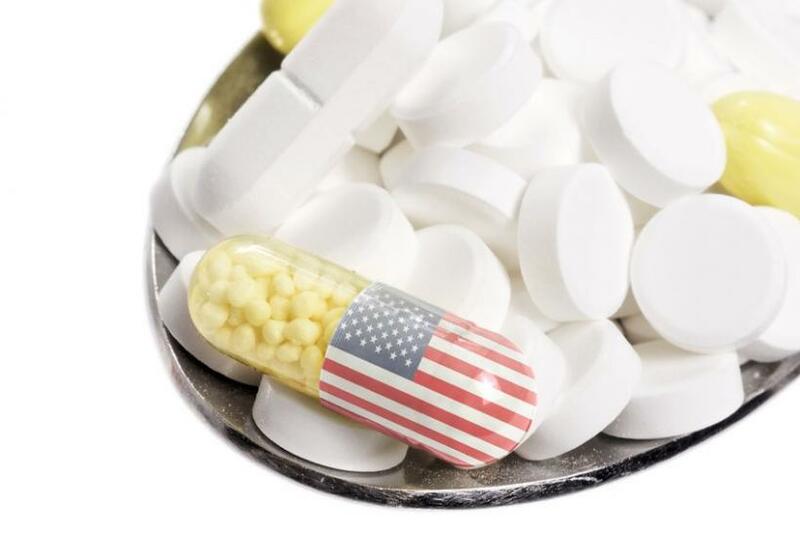 Over the counter medications can also create a problem at the border, both entering the U.S. and returning to Canada because each country has different restrictions on what medications and dosages can be sold over the counter as well as in health food stores. Make sure your any over the counter medications are in their original packaging and be aware that it is possible some over the counter medications could be seized at the border. Finding a family doctor or clinic in the U.S.
To avoid all the trouble of travelling with medication, many snowbirds establish a relationship with a family doctor in the U.S. or with a clinic, so that they can get their prescriptions filled while they are away. This is a simpler solution than importing your prescriptions once you are over your three month supply. However, if you’re considering going this route you’ll want to see if the drugs you require are available in the United States and compare the cost in the U.S. vs. Canada, as prescription drugs can often be far more expensive in the United States. In addition, if you have a drug plan you’ll need to find out if it will cover prescriptions filled outside Canada. If you need to travel with personal medical equipment or devices such as Personal Oxygen Concentrators (POCs), wheelchairs, electric wheelchairs and scooters or CPAP and BiPAP machines for breathing disorders and sleep apnea that require batteries, you MUST check with your airline at least 48 hours ahead of time, or preferably at time of booking, to make sure you know what is accepted in the cabin and as checked baggage. In particular, it’s important to understand the policies that apply to batteries for medical devices. Usually these must be carried on-board and normally do not count towards your carry-on bag allowance. Each airline’s policy may be different so make sure you notify the airline of any special medical equipment you must bring with you and any other special needs that you may have. Airlines must accommodate Special Needs passengers, but they do have some restrictions. Of course, Canada has its own rules about carrying prescription medication across the border. If you have been prescribed a prescription drug while in the United States, Health Canada may approve your bringing up to a 90 day supply back to Canada. The drug must be for your personal use and be in its original packaging with the original labelling. If the drug contains narcotics, only a 30-day supply can be brought in. If you are bringing back your ongoing prescription medications, you can only bring up to a 30 day supply. If you take a cruise while in the U.S. Many snowbirds will take advantage of the many cruises available from U.S. ports while they are there for the winter. If you take a cruise, beware of vendors selling prescription medications to cruise passengers in foreign cruise ports and destinations. There is no way to verify that these drugs are legitimate, so don’t be tempted by the cheap prices!